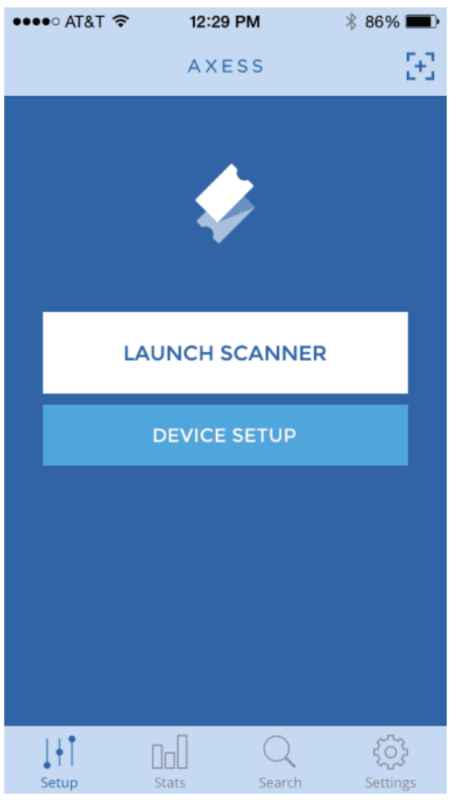 Before you attempt to scan, please make sure you have followed all of the instructions in section 1, Getting Started with Axess / Device Setup. 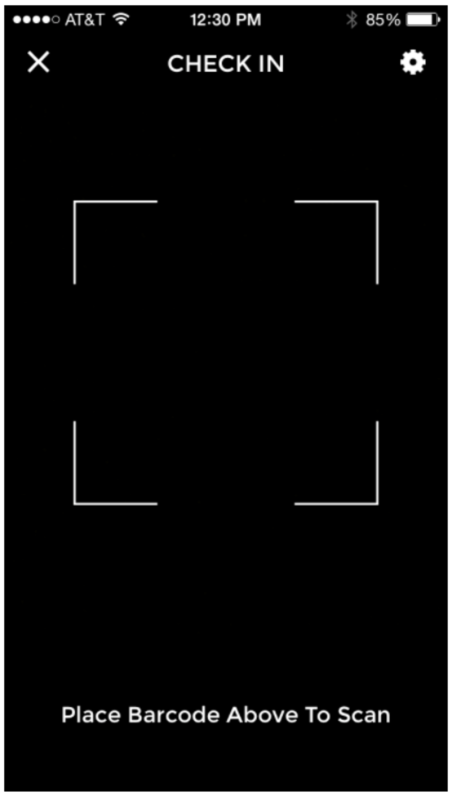 Tap LAUNCH SCANNER to open the main scanner view, which displays a viewfinder of your device’s camera. You can also tap the square target icon in the top right to activate the scanner at any time. Position the scanner within 6-8 inches of the ticket.